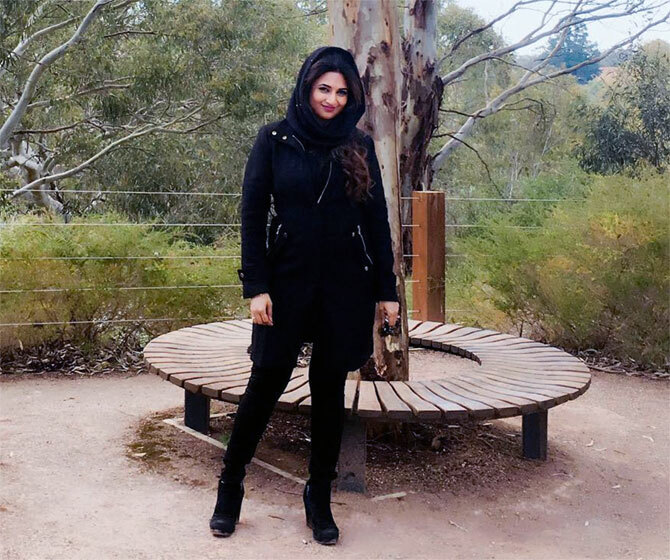 Rediff.com » Movies » PIX: Divyanka Tripathi's Awesome Australian holiday! 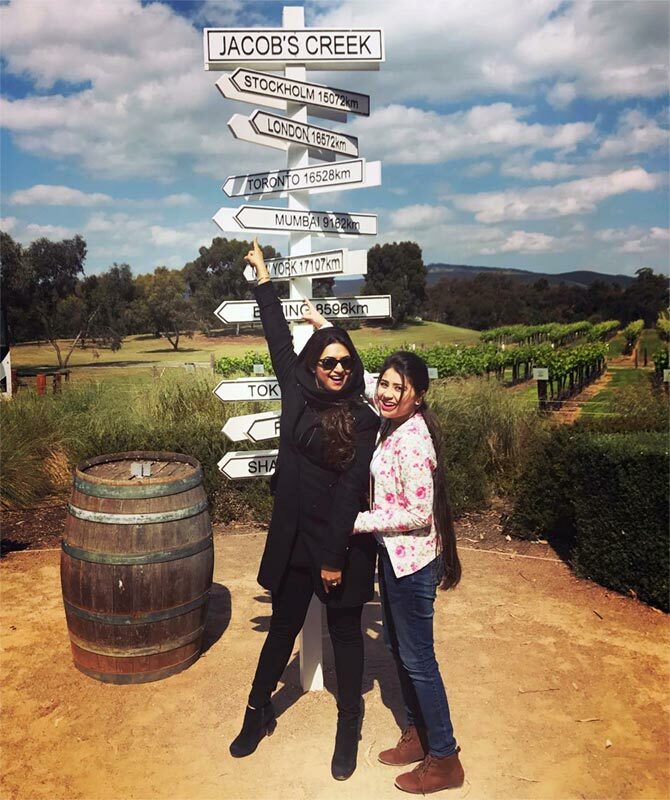 PIX: Divyanka Tripathi's Awesome Australian holiday! 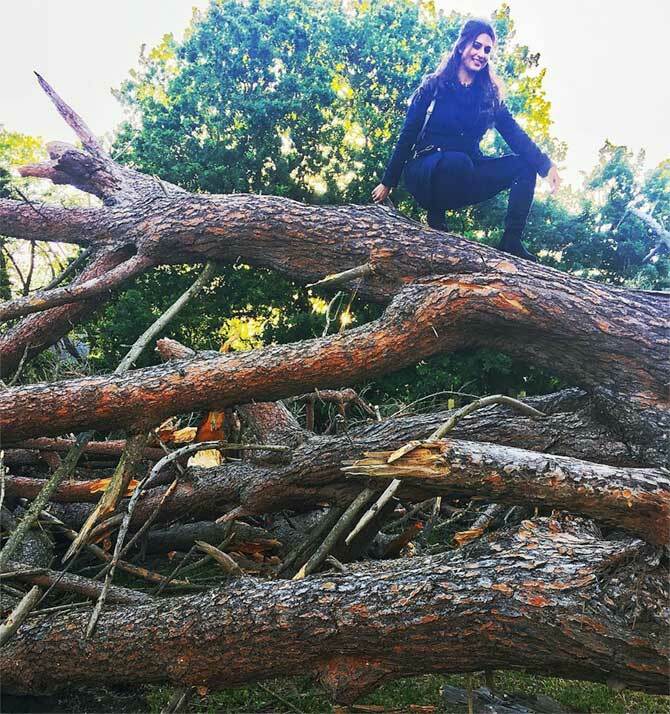 Celebs go for the loveliest holidays -- exotic locations with a lot of adventure thrown in. So we decided to document their travels with a special series. Shilpa Shetty had a lovely holiday in London. Soha Ali Khan and Kunal Kemmu went on a Croatian holiday. Ranveer Singh went on an amazing Swiss holiday and Asin had a beautiful vacation in Italy. 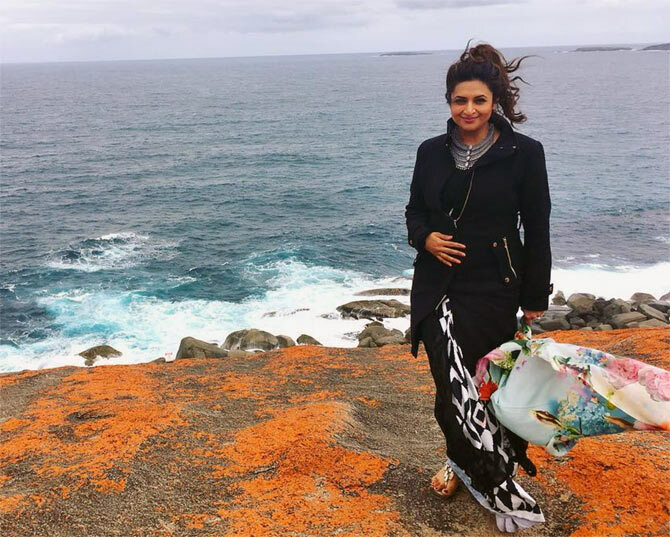 This week, let's travel to Australia with Divyanka Tripathi. 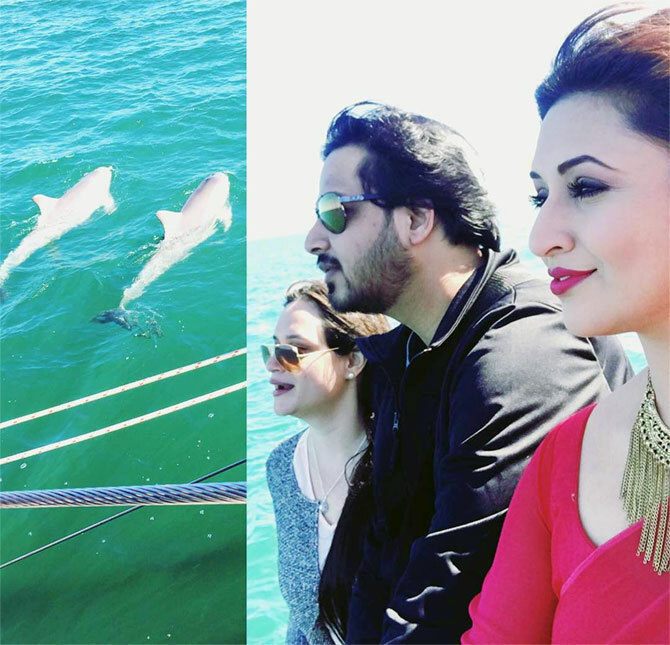 Unlike other actors, Divyanka mixes business with pleasure and shot for her popular serial Yeh Hai Mohabbatein at the beautiful outdoors. 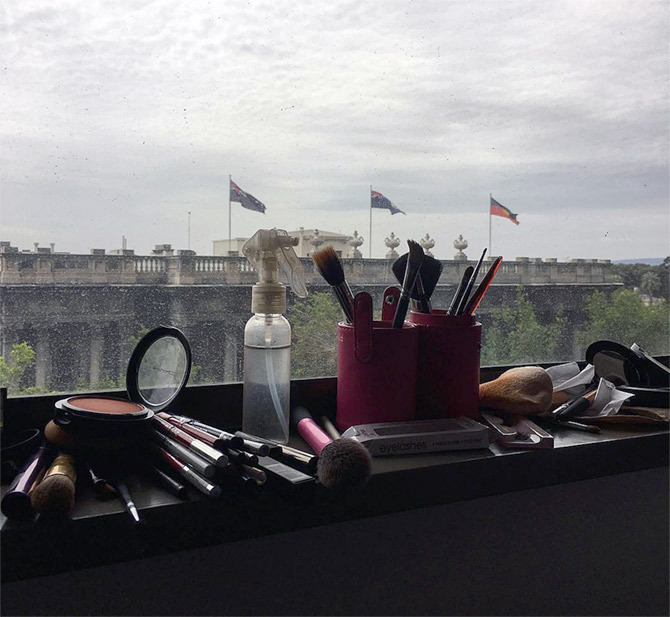 A classic view of the Australian Parliament. Two to Tango. Divyanka makes a fun pose. 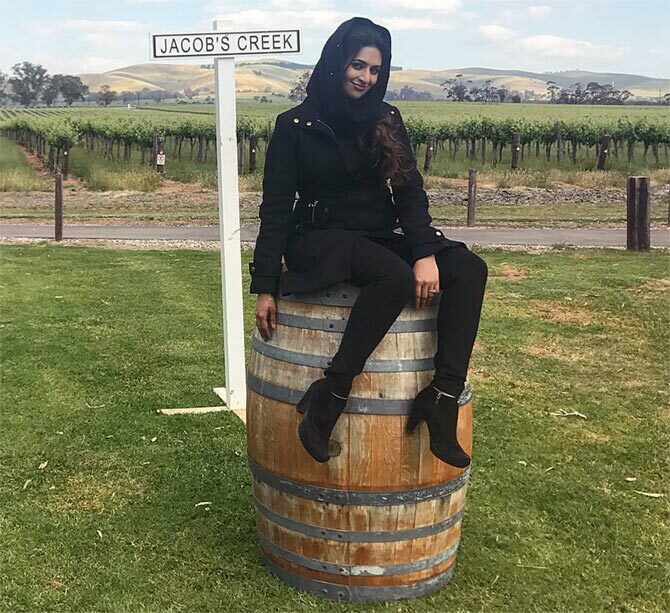 'Weather and vaadi at their best,' writes Divyanka, as she poses at Jacob's Creek in Barossa Valley. Far away from Mumbai and yet, it's right there! 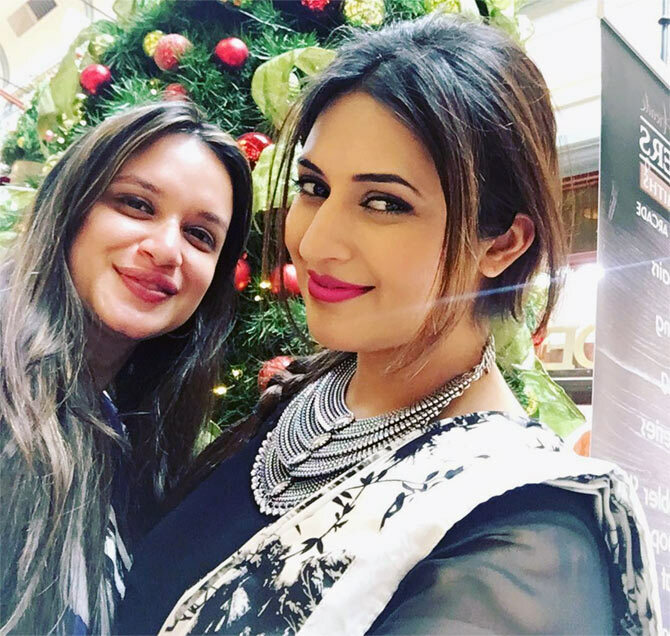 Divyanka poses with her Yeh Hai Mohabbatein co-star Aditi Bhatia. 'While India is stressed out counting 500s and 1000s... I say, AcchheDin aane wale hain. #KeepCalm and #EnjoyTheChange,' she writes. 'Divyanka = Adventure. All this world gets to see is a successful (maybe... #MaybeNot) and a #WorkaholicRobot... Only a few know the real me,' she captions this picture. 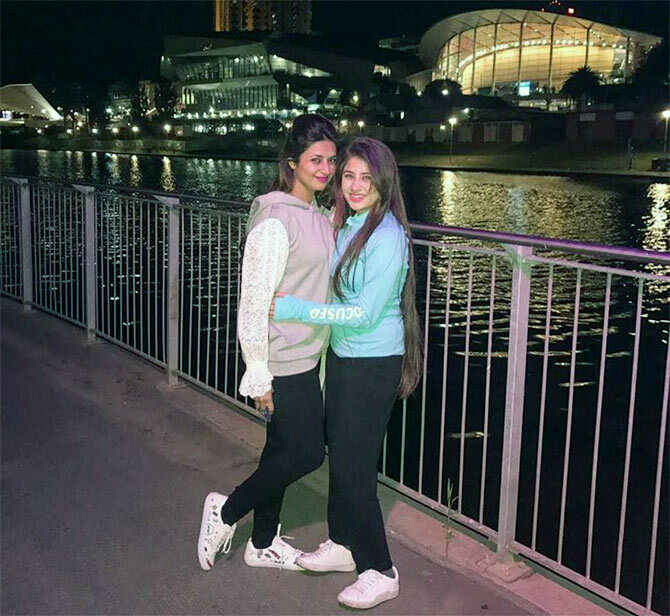 Divyanka enjoys the Australian nights as well. Spotting a dolphin and feeling like a kid all over again. 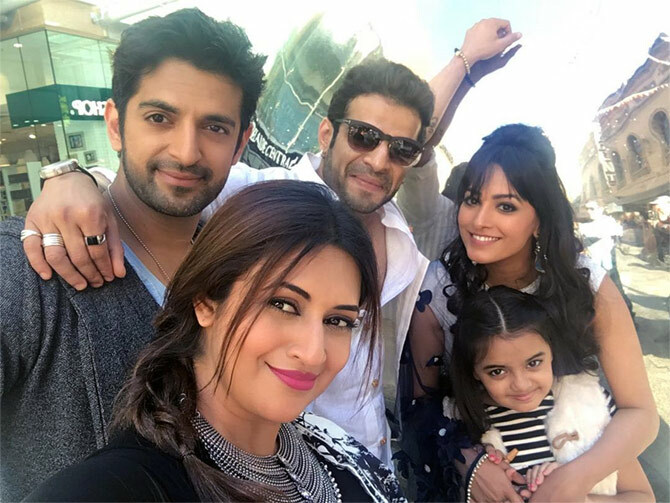 The Ye Hai Mohabbatein team poses for a selfie. The Christmas fever has already begun in Adelaide. 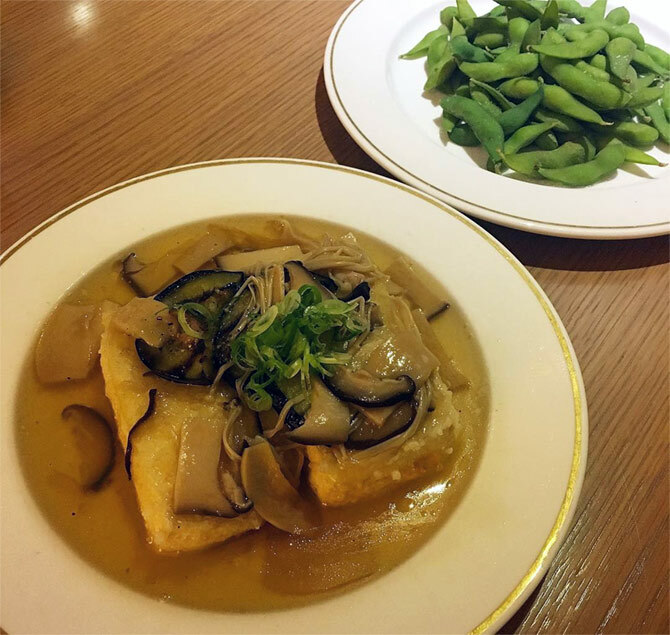 Divyanka gets ready to tuck into Japanese vegan food: Tofu steak and Edamame from the Ginza Miyako Japanese restaurant. The Adelaide Oval, a must visit for Indian cricket fans! 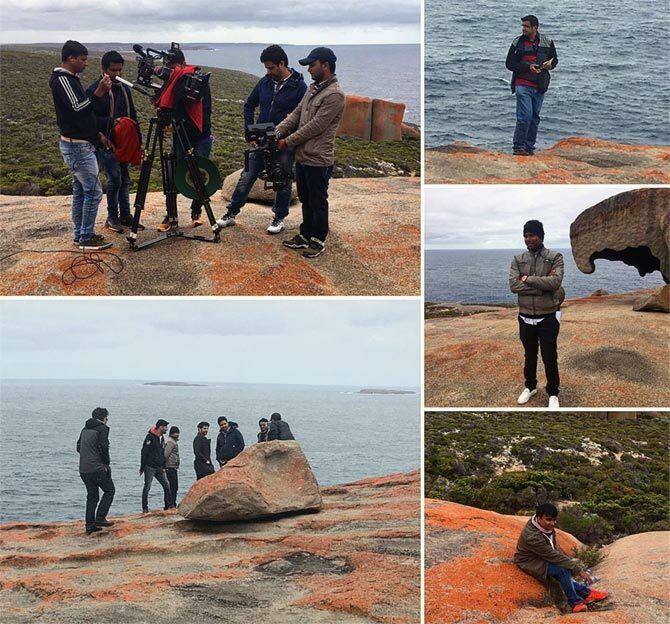 Divyanka poses on the southern-most tip of Australia -- the Remarkable Rocks, Kangaroo Island. 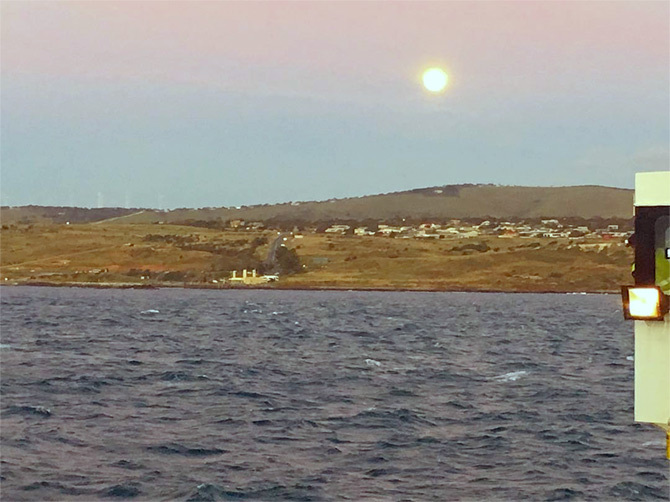 Super Moon in the evening skies of Adelaide. 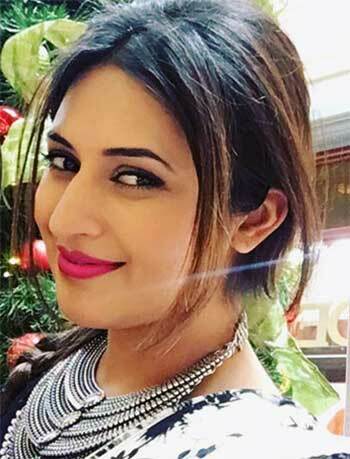 Divyanka captures the behind-the-scenes drama. Harshvardhan, Akshay, Farhan: Who rocks the man bun? VOTE! Kareena's most STYLISH pregnant look? VOTE!